After the successful launch of Tiago, Tata Motors will be launching the Tata Hexa in June 2016. Essentially, Tata Hexa will be replacing the currently existing Tata Aria. Reports suggests that next in the queue after the Hexa launch is Tata Nexon. The Tata Nexon compact SUV should be there by festive season this year. So, it is going to be a busy year for Tata Motors as there are series of car launches back to back. The upcoming Tata Hexa was first previewed as a concept at Geneva Motor Show in 2015. The fully ready production version of Tata Hexa made its very first appearance at Delhi Auto Expo 2016. When it comes to dimensions, The SUV measures 4764 mm in length, 1895 mm in width, 1780 mm in height and 2850 mm in wheelbase. Some of the features if Tata Hexa are projector headlamps, LED DRLs, mirror caps along with turn indicators, machine-cut 19-inch alloy wheels, lower-body cladding, LED taillamps and twin exhaust pipes. The all new Tata Hexa is going to be offered in familiar 2.2-litre VariCOR 400 diesel engine. The mightly Tata Hexa’s engine shall churn out 156 PS of maximum power and 400 Nm of peak torque. The 2.2l VariCOR 400 diesel engine will be mated to a 6-speed manual transmission as standard and the car also gets a 6-speed automatic as an option. When the new Tata Hexa gets launched in the year 2016, it is effectively going to replace Tata Aria as a premium 7-seater crossover to take on with popular Mahindra XUV500 SUV. 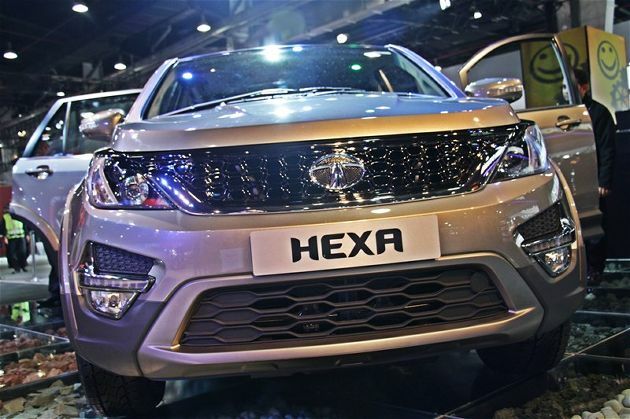 Tata Motors have learnt lessons from Aria, that has resulted as the inputs for the development of Hexa. 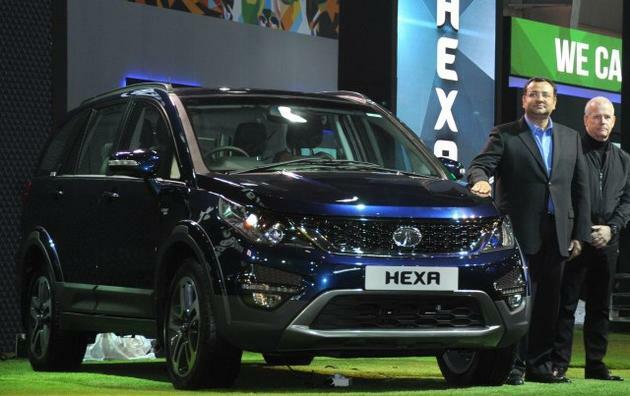 As said earlier the Hexa’s launch will be followed up with the arrival of the Nexon sub-compact SUV in festive season. Let us know what do you think about Tata Hexa by commenting below.